We often assume the best when our kids finally make it to collegiate level baseball. Finally, they will get the much needed help and learn all of the secrets of the trade; how to throw harder, how to throw excellent breaking balls, how to stay healthy, get the best pitching workouts etc. 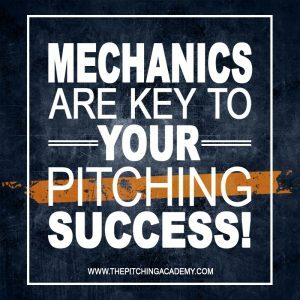 Reality is, most pitching coaches at the collegiate level won’t know specifics on how to teach your son mechanics, off speed pitches etc. This just came to me tonight. By the way, I get messages like this several times a year. Strange how some High School programs won’t let students get help from “outside sources” and yet there college coaches think they should have it all figured out? Or they just don’t really know how to help? I had a talk with Alan Jaeger about this very issue, even at the professional level coaches are teaching stuff they learned 30 years ago when they played. He believes, and I couldn’t agree more; that the best pitching coaches are found in the top division 1 programs in the nation. Even better coaching there, than at the Major League level. What do you do if you don’t play for one of those schools? You need to educate yourself! Take every chance you get to learn and study mechanics, how to throw faster, how to protect your arm, how to throw a nasty curveball correctly, how to manage your emotions on the field etc. If you don’t; you might find yourself in college seeking help and you may not find it, depending on where you play. Take the opportunity and learn the skills that will take you to the next level and won’t leave you in the dark. What others are saying…about The Pitching Academy.